We all know the importance of using proper sun protection while enjoying a relaxing day at the beach. 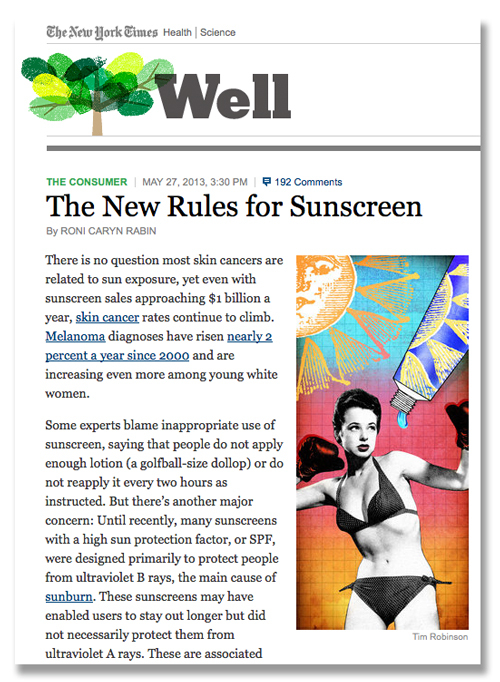 For a recent discussion and advice regarding sun safety practices, please check out a recent article from The New York Times. click here. To read the article, please click on the image above.